Healthcare and Hospice Fraud Defense Attorneys - Oberheiden, P.C. Hospice fraud investigations are on the rise. The Department of Justice, the United States Department of Health and Human Services, the Office of Inspector General, the Federal Bureau of Investigation, the Medicaid Fraud Control Unit and other state and federal agencies have intensified and extended their investigations of hospices throughout the United States. The Allegations. The government alleges that some hospice owners and staff members are involved in conspiracies to defraud the United States. The government believes that medical services provided to the dying are either medically unnecessary and only provided to increase revenue through billing or are, in fact, not provided at all but nonetheless billed for. 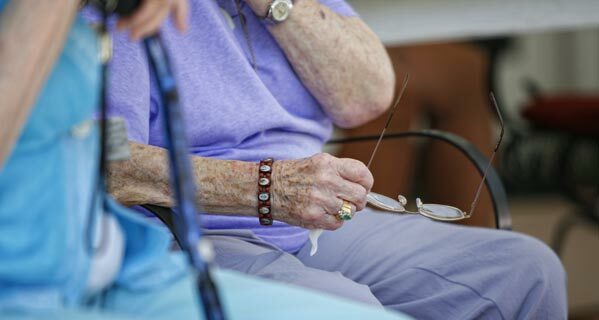 Because many hospice patients are Medicare or Medicaid beneficiaries, any potential billing damage would directly harm the United States government. Recent Examples. Most recently, a series of hospice fraud investigations were published by government authorities. For example, the U.S. Attorney’s Office for the Western District of Pennsylvania reported the indictment of a woman that is facing five counts of healthcare fraud charges as a result of alleged involvement in hospice fraud. The case is illustrative, not just because it is an early example of the government’s fight against hospice fraud in general. Moreover, the woman’s prosecution as well as other case information reveals that the government bases its case on the general healthcare fraud statute. In another case, a hospice owner received a 15-year prison sentence after being found guilty of Medicare fraud. The individual billed thousands of fraudulent claims and paid nurses and doctors to attest medical necessity for the billed for services. In addition, this former hospice owner is ordered to pay $ 16.2 million to the U.S. government in restitution. Avoiding Criminal Charges. Hospice investigations are not always criminal in nature. The handling U.S. Attorney’s Office may also simply demand a reimbursement of overpayments. For example, a New York hospice owner recently agreed to pay approximately $ 6 million in fines to settle alleged false Medicare and Medicaid claims. In this case from the Southern District of New York and similar cases, the government may also implement a compliance program and other monitoring to ensure that billing errors do not occur again. Signs of Investigations. Whether a case is criminal or civil is a critical question. As a general rule, the sooner a potential target of a government investigation consults with experienced healthcare fraud attorneys, the more likely the investigation will not turn into a criminal case in which the government is seeking to indict and imprison individuals said to be involved in hospice fraud. If your business experiences a payment stop or other signs of government activity, you should contact an experienced attorney right away to keep things under control. Experienced Counsel. Healthcare fraud is a federal felony and the law provides for a maximum total sentence of ten years in prison for each count. If you believe you are under investigation, call the former federal healthcare prosecutors and experienced defense counsel of Oberheiden, P.C. right away to discuss your options. We are standing by to assess your situation in a free and confidential consultation. This information has been prepared for informational purposes only and does not constitute legal advice. Reading of this information does not create an attorney-client relationship. Prior results do not guarantee similar future outcomes. The Oberheiden, P.C. is a Texas LLP with headquarters in Dallas. Mr. Oberheiden limits his practice to federal law.